Facebook is a social networking website that was launched in February 2004. As of May 2012, Facebook had over 900 million active users worldwide. 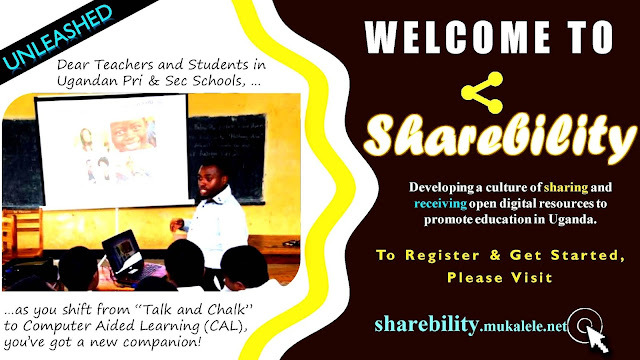 It focuses on facilitating the building of social relations among people who, for example, share interests, activities, backgrounds, or real-life connections. Users must register before using the site, after which they may create a personal profile or "wall", add other users as friends, and exchange messages, including automatic notifications when they update their profile. Additionally, users may join common-interest user groups, organized by workplace, school or college, or other characteristics, and categorize their friends into lists such as "People From Work" or "Close Friends". The main founder of Facebook is Mark Zuckerberg. The website's membership was initially limited Harvard University students, but was later expanded to other Universities and colleges. Keeping in touch: By maintaining a profile on Facebook, your loved ones, friends and distant relatives don't have to call you every time just to stay in touch with one another. One can take advantage of posting messages, images and personal videos of themselves for their loved ones to see over and over again. It's cheap, fast and real time technology available to everyone. Job hunting: Several companies in the US and Europe are taking advantage of Facebook to get competent employees. On the other hand, job applicants take advantage of these sites to post their resume and credentials. It's a great tool one can use in order to make a good impression to a company. If you're applying for a computer related job, it would be great to maintain a personal profile. Emergency: Facebook has been a great tool for many to relay messages to thousands of concerned citizens in a snap in times of tragedy and natural calamities. People who seek fund raising and donation can use Facebook call unto generous individuals. Facebook is a great tool to use to keep up to date on news, current events, and interesting happenings in the world. Barack Obama uses Facebook to get out his messages to everyone who might be using Facebook. Having links to press conferences, and allowing to write on the wall of these issue groups makes for an easy way to communicate with even the president. It’s a real-time social networking site and it’s one of the best source to stay updated with latest news and updates. Moreover, major news usually goes viral on Facebook and you will not miss important updates. Facebook is a good business tool as well. There are so many people who use the service that you have a great forum to sell your products to millions of people. Not only that, but you have the ability to put something on Facebook, and watch people link it to just about everywhere else on the Internet, all while having a solid base to use as a main website. Everyone has a Facebook account, so if you don't have a Facebook for your business, you are missing out on good marketing space. Facebook is also really easy to use. Just point and click, and you have access to just about whatever you need. To send a message to any person, you don’t have to know his or her email address. You just search for the name, and send message! Whether you are trying to organize your groups, or just feel like cleaning up your page, you can just click one button and an application or old group page is gone just like that. You can also use Facebook as image or video hosting site. You can always upload and download complete collection of Facebook photos and videos using Facebook backup account feature. 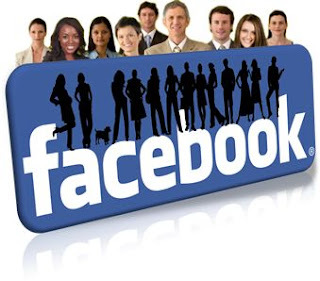 Facebook video chatting: Facebook can also be used as video chat tool. You can make video calls to your friends using Facebook inbuilt video chat app. Facebook is really the wave of the future, and there is a global popularity to it. Whether you just want something to keep in touch with family and friends with, or if you want to expand a business, Facebook is certainly where you would want to do it. Facebook has been met with controversies. It has been blocked intermittently in several countries including the People's Republic of China Iran, Uzbekistan, Pakistan, Syria, and Bangladesh on different bases. For example, it was banned in many countries of the world on the basis of allowed content judged as anti-Islamic and containing religious discrimination. It has also been banned at many workplaces to prevent employees from using it during work hours. The privacy of Facebook users has also been an issue, and the safety of user accounts has been compromised several times. and disadvantage of Facebook is to do with Facebook privacy. Though Facebook simplified Facebook privacy, but still many newbie make mistakes by publishing private images and status update publicly. Also, people usually keep their Facebook friend list visible to public, and this helps Facebook stalkers to find information. Fake Facebook profiles: There is no check on Fake Facebook profile. You will find tons of fake profile with beautiful profile picture of girls, companies, etc. There is no limit to such profile and most of them are created by stalker or by marketers to gain more friends and then to use it for marketing purpose. Time-consuming: Being, one of the best way to know what your friends are up to, people spend too much time on this social networking site. Facebook offers many entertainment applications and games which will keep user engaged. Facebook chat and Facebook video chat are another two-time consuming feature. If you want to use Facebook for your advantages, use it for certain time limit in a day. Too much of Facebook, might make you Facebook addict and you might end up wasting too much time. Many people consider Facebook as a work of the devil. It could be. However, one must realize that anything can become good or bad depending on the person's intentions. Facebook has shaped our world whether we like it or not and it will become an indispensable tool if it's used for good purposes.